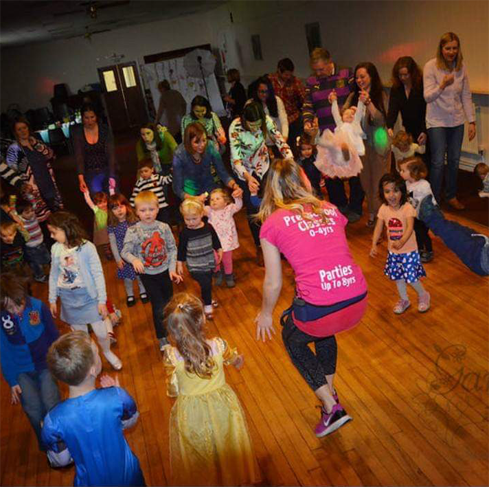 Come and enjoy a boogie under the disco lights and bubbles to all your of your favourite songs, along with singing, musical games and exciting props throughout! 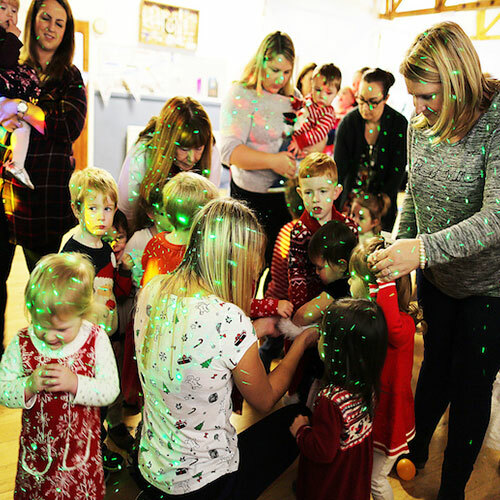 Our 90 minute seasonal themed parties cost £8 per child (£2 extra per walking sibling), and include refreshments for mums and tots at half time, as well as yummy treats! 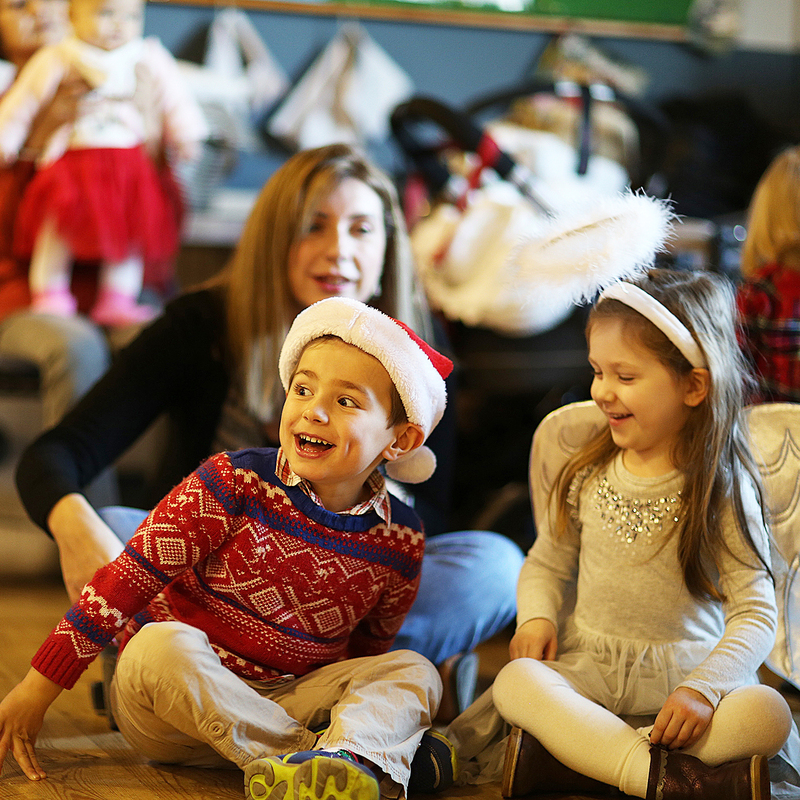 Our seasonal parties are for walking tots (0-4yrs), but older siblings and babes in arms can come along for free. Join our mailing list, or follow us on Facebook or Twitter to be kept up to date with forthcoming dates! For mums/dads/carers who are unable to commit to classes by the half term. These sessions can range from 30mins to 45mins depending on the venue. They cost £5 per child (£2 extra per walking sibling), and depending on the venue, can sometimes include free soft play. These sessions must be booked in advance with our online booking system. 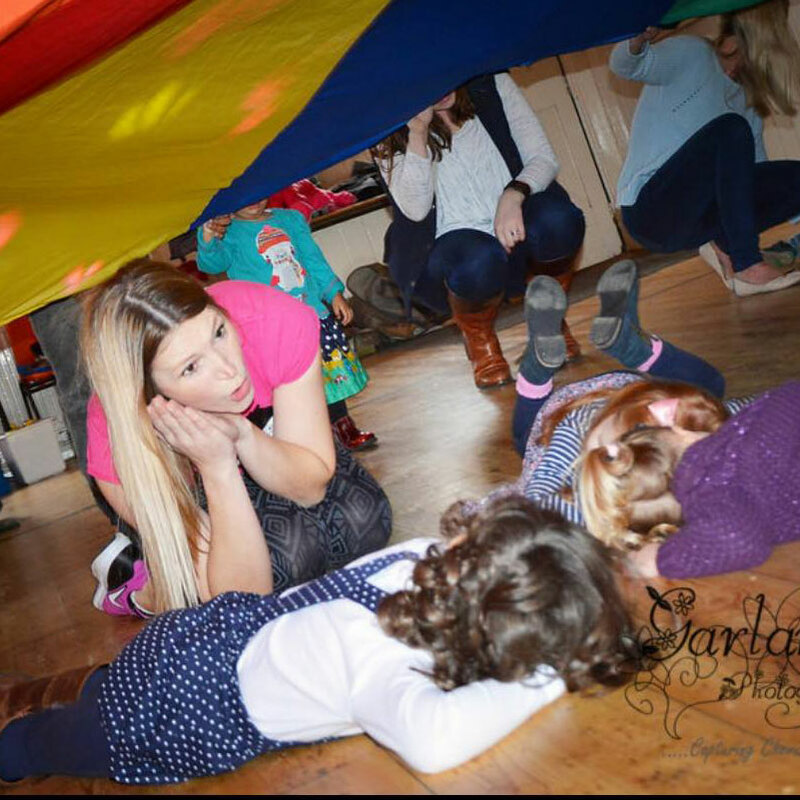 We’re often asked to attend nurseries and playgroups to provide Christmas or end of year / Summer parties, as well as the occasional midterm treat! We can also provide children’s entertainment for family occasions (e.g. weddings and christenings), as well as charity events – our biggest to date being Pride Cymru 2018. For nurseries and playgroups, please contact Becky on 07876177017 or email at beckydiscotots@gmail.com for more information. For family occasions and charity events please contact Zoe on 07870 626318 or email at zoe@discotots.com for more information. Alternatively use our online contact form to enquire. Follow us on Facebook and Twitter so you don’t miss out on our current or forthcoming seasonal parties, pay as you go sessions, events and promotions! Alternatively sign up to our newsletter. See what people thought of our seasonal events and pay as you go classes! Questions? No problem! We have a great FAQ section which should answer all of your questions. If there is something we have missed, please don’t hesitate to get in touch! Do I have to pay for my baby? Yes they can. If you think they will join in they must be paid for or they are more than welcome to come along and sit on the side if they are happy to. With refreshments, do you cater for allergies? Do I have to pay in advance or can I pay on the day?